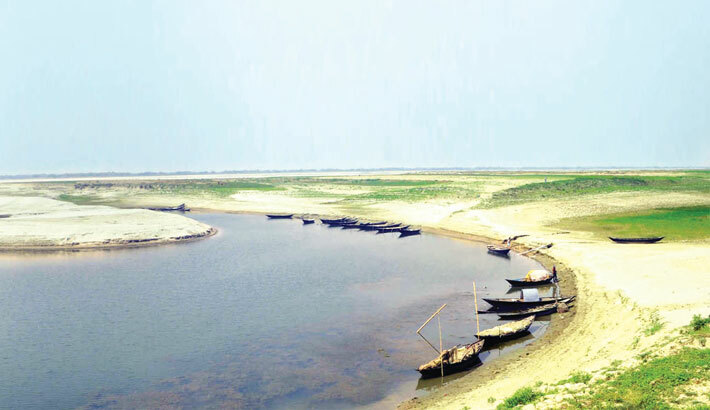 Speakers at a workshop have stressed the need for applying nature-based solutions to improve water management in the Ganges-Brahmaputra-Meghna basin, home to approximately 620 million people in five countries - China, Bangladesh, Bhutan, India and Nepal, reports UNB. From March 19-21, the BRIDGE GBM Civil Society Organisation (CSO) Network, through the BRIDGE Ganges-Brahmaputra-Meghna (GBM) programme facilitated by International Union for Conversation of Nature (IUCN), organised a workshop at Sreemangal in Moulvibazar on the week of World Water Day. The workshop aimed to enhance CSO understanding of Nature-based Solutions (NbS), and help CSOs better document NbS best practices related to water management in the basin. Over 30 CSO representatives learned about NbS standards, tools and approaches IUCN pioneered and developed at the global level. They also learned how to present their project interventions and findings through case studies, said a press release. "Water management in the GBM region is heavily dominated by 'business as usual' approaches. NbS include green infrastructure that can substitute or work in parallel with grey infrastructure in a cost-effective manner, while also providing benefits for biodiversity and human well-being" said Raphael Glemet, Senior Programme Officer, Water and Wetlands Programme, IUCN Asia. "There is plenty of potential for NBS to address water management challenges, such as climate change, water scarcity and natural disaster reduction, in the region." On the second day of the workshop, participants experienced NbS best practices first-hand, through a field visit to Hail Haor, one of Bangladesh's largest wetlands. The wetland is sustainably managed to conserve biodiversity as well as to provide services to surrounding communities. Through a guided site analysis, which included interviews with local communities and government representatives, participants learned how to assess ecosystem services. This process became the basis for individual NbS case studies, drafted on the final day of the workshop under the guidance of NBS experts, peers and IUCN facilitators. "As CSOs, we are on the frontline of implementing projects that benefit society, and in particular, local communities. This gives us valuable insights on how NbS works. Workshops like this gives us the opportunity to share our knowledge and learn from others working on similar issues, and to be able then to advocate for their integration within policies," said M. Mokhlesur Rahman, Executive Director, Center for Natural Resource Studies. While some BRIDGE CSO network members are increasingly becoming aware of the importance of NbS, a large number of members have already been developing solutions that have contributed to improved water management in the GBM region. However, a BRIDGE GBM workshop held last June in Nepal revealed that these solutions are often not adequately documented or widely shared - thus limiting their potential of being replicated and scaled up across the region.